A Feature Film concept by Chris Browne. Shannon is an alien abductee, who like many others, has been humiliated in the public eye, an outcast written off as either being crazy or on drugs or both. experience, but the stigma that’s associated with it. group embarks on a mission to encounter their alien abductors once again. Chris is the Studio CG Supervisor at Bardel Entertainment. At Bardel, Chris supervises all CGI Productions which includes shows for PBS, Nickelodeon, and four television series with DreamWorks, including the three time Emmy Winning All Hail King Julien. Chris was the CG Supervisor on the prestigious animated feature film Khalil Gibran's The Prophet which received accolades at TIFF, Cannes, and the Annie Awards. Before working at Bardel, Chris ran his own animation and live action visual effects studio Digital Alchemy Entertainment Inc. 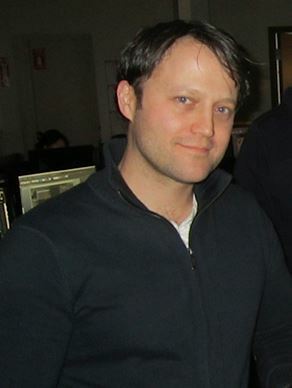 In his spare time, Chris wrote and directed several award winning short films which received official selection in over 18 international film festivals, and television broadcast.